Michael Day is the Retail Leader South East Asia Pacific, of Tyco Retail Solutions a division of Johnson Controls steering the go to market strategy across direct business channels in ANZ, Singapore and Malaysia, along with channel partners in Indonesia, Thailand, Philippines and Vietnam. Michaels nearly 3 decades of sales and marketing experience, and 12 years in the retail industry gives him a great understanding of the complex requirements of some of APAC’s leading retailers, including key categories of grocery, apparel, electronics, pharmacy and hardware, across the platforms of Electronic Article Surveillance (EAS), Loss Prevention, RFID, Source Tagging, Store Performance analytics, as well as the more traditional security platforms of Access control, intrusion, surveillance and monitoring. Michael is a firm believer of nurturing interpersonal relationships within business, to deliver technologies that not only improve store operations, but enhance the consumers’ in-store experience. Mark has global experience in all aspects of Loss Prevention and Risk starting in the UK with HMV, Virgin Megastores & BHS through to TK Maxx and big box retails such as House of Fraser and Toys R Us and finally River Island before moving to Kuwait and managing the Loss Prevention function for the entire Northern Gulf consisting of Kuwait, Egypt, Jordan, Lebanon & Cyprus responsible for over 50 different brands & 600 stores for Alshaya the region’s biggest franchise retailer. Mark relocated to New Zealand to take up a senior Loss Prevention role for The Warehouse Group the country’s largest retailer to support them reduce a significant Shrink result. Mark then became the Group Risk Manager for Next Athleisure a retail fashion group consisting of Glue Store, JD Sports Fashion & Trend Imports based in Sydney Australia, he is responsible for the overall Risk Strategy, including Business Continuity, Shrink Control and Audit. Josh is currently the Group Risk Manager at Forever New Clothing, a market leader in women’s fashion with over 250 stores in both Australia and New Zealand and throughout the world. 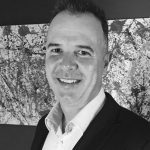 He has over 13 years’ experience in the retail sector, with a special focus on retail operations and loss prevention, during which time he has developed a preferred approach of pro-active and direct engagement & coaching teams. Currently Josh’s focus at Forever New is elevating the traditional Loss Prevention function to develop with key business stakeholders, an all-encompassing and strategically focussed Enterprise Risk Management program. Josh has a passion for the niche Retail Risk industry and is on the steering committee for the Profit Protection Future Forum, which aims to grow the industry through awareness & thought leadership. 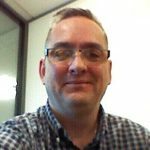 Steve Schenk is Business Development Manager – Inventory Specialist for Tyco Retail Solutions Australia New Zealand (ANZ). In his role, Steve has helped position the Tyco Retail Solutions Inventory platform, TrueVUE, to be the market leader in the adoption and implementation of RFID applications for retailers in ANZ. Steve has spent over 25 years in the apparel industry spanning sales, design, production, sourcing, supply chain and import and distribution. More recently he has dedicated the better part of the last decade advocating for RFID, data accuracy and the Internet of Things to drive brick and mortar and Omni channel operational, sales and cost savings benefits for retailers locally and globally. His expertise across the scope of retail operations is derived from working for and with organisations such as Inditex Zara, Paul Smith, NBA, MLB, PAS Group and Checkpoint Systems. 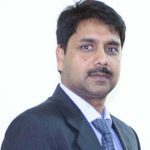 He is highly regarded in the industry and has delivered numerous key notes on the benefits of RFID in retail and supply chain. Steve lives in Melbourne with his wife and 2 children. Doug Pobjoy is a seasoned Australian retailer with over 15 years industry experience. With a proclivity for greenfield opportunities, Doug has successfully established newly created regional, national and international roles with well-known retailers such as Brazin Limited (now BBRC), Cue Clothing Co, Michael Hill Jewellers and Forever New Clothing. 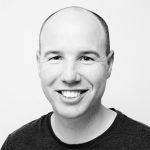 Doug’s unique approach and well-articulated methodology is shaped by his diverse range of experience, valued mentors and formal qualifications in retail operations, marketing and outdoor recreation. Doug is a highly regarded professional and avid retail futurist. In recent years, Doug has focussed his career on emerging retail technology, process improvement and leveraging data. 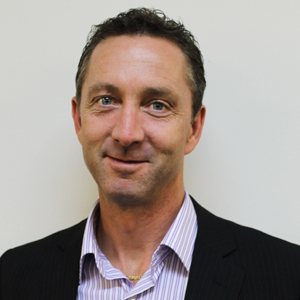 Doug is an advocate for networking, mentoring and retailing in QLD.